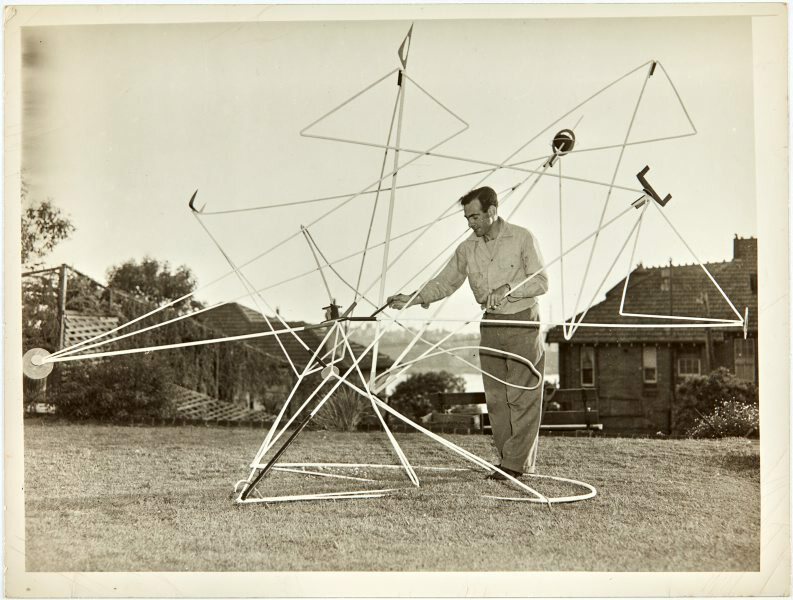 In 1951 Robert Klippel became a foundation member of the newly formed New South Wales Society of Sculptors and Associates. He exhibited 'Opus 56' at the Society's inaugural open-air sculpture exhibition at the Royal Botanic Gardens. The sculpture, which was one of the first in Australia to incorporate steel junk, was vandalised and destroyed during the exhibition. Not signed. Dated upper c., verso, pencil "1951".